At Marque, we build on your dreams. Our process is as personal and flexible as possible so that we can craft a bespoke solution just for you. We start with our existing plans, moulding them and making adjustments until you’re satisfied. During this process we listen to what it is you love, providing our expertise and recommendations along the way. The details of a house are what make it a home – which is why we take the time to help you create exactly what you want. Here’s where we organise and complete all of the documentation that’s necessary to begin your build, including working drawings, permits, energy ratings and more. We’ll ensure everything is in place, so you don’t have to worry about a thing. Once planning is complete, the construction of your luxury home begins. We’ll continue our superior communication in this phase – at specific milestones we will invite you to check your build progress, keeping you involved at all times. 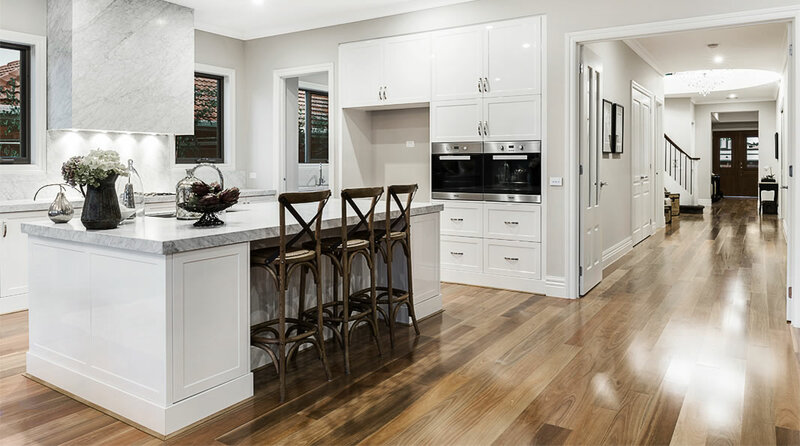 This is the most exciting part of any project for us – showing you around your new home or investment property. Including a demonstration of how to use all appliances, this tour of your completed property means you’re ready to move in! When you build your dream home, you intend to settle there as long as you can. That’s why we’re committed to an ongoing relationship with you. Rely on us for any advice or assistance, even years after its completion. Contact us today to talk about how we can help you build your dream home from planning to post construction maintenance.